It’s that time again! Major league spring training is over and the teams are back on the home turf. And even when the weather feels more suited to football than baseball in these first weeks of the season, the return of America’s favorite pastime is a happy reminder that summertime can’t be far behind. Yes, summer and baseball. Remember hearing games crackling over the transistor radio on a hot summer night? (We’re showing our age here.) Or sitting in the bleachers with the sun in your eyes, looking for the cold drinks or ice cream vendor to come around? The crack of the bat, the roar of the crowd, peanut shells crunching underfoot, the good-natured “boos,” the cheers and jeers during umpire-player arguments, the ecstasy that comes with that ninth inning grand slam—it’s all so much a part of the fabric of an American summer, and it’s a ritual we love to celebrate! 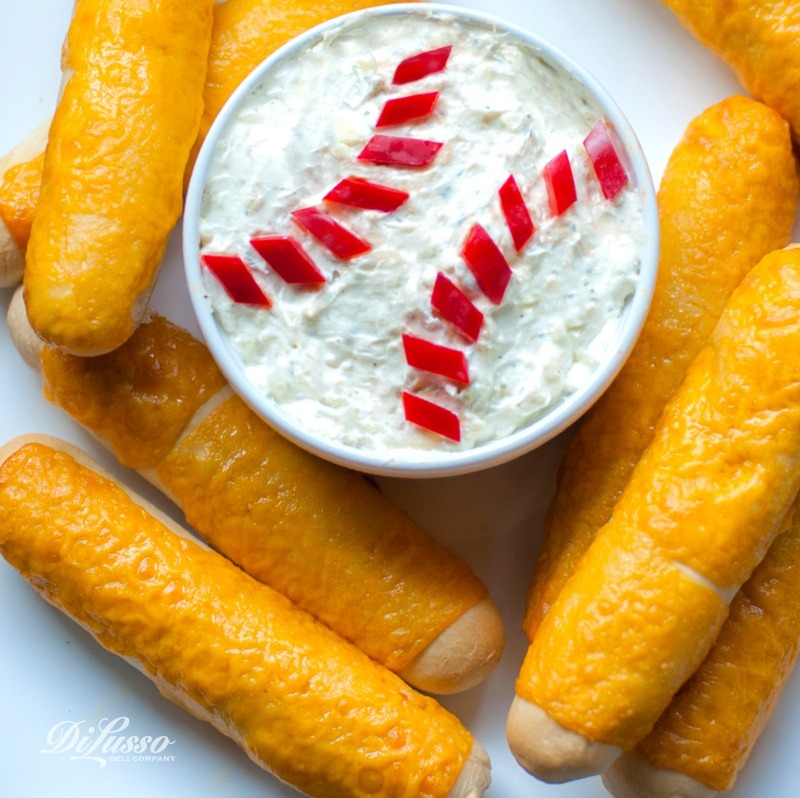 Honor your team’s home opener with some baseball-themed goodies, whether you’re hosting a game-watching gathering or simply sharing with family. Sure, hot dogs and popcorn are great when you’re attending a live game (why do baseball stadium hot dogs taste best? ), but think about some alternatives for your “home” game. Don your team caps, turn up the volume, and enjoy these goodies during the seventh-inning stretch. Leading off: a baseball cheese ball! Mix together an 8-oz package of cream cheese, softened, ¾ cup sour cream, and 1/2 cup each DI LUSSO® Medium Cheddar and Mozzarella Cheese. Stir in 2 green onions, chopped and 1 envelope of dry ranch dressing mix. Place mixture in a round bowl (preferably white). 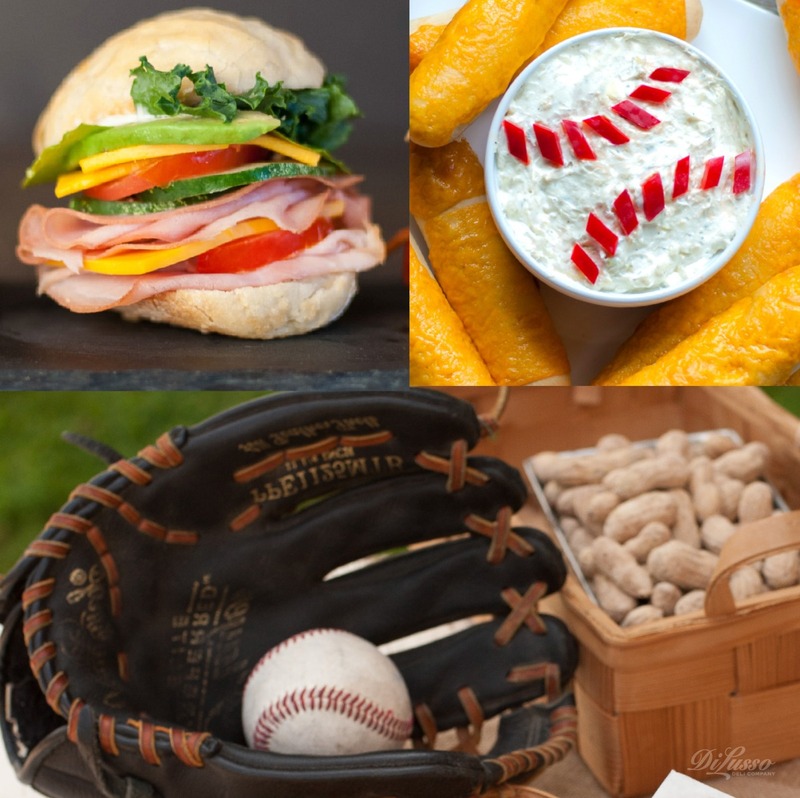 Use DI LUSSO® Roasted Red Pepper Strips, sliced into even thinner strips, to create the baseball’s seams. Next up: sliders, of course! 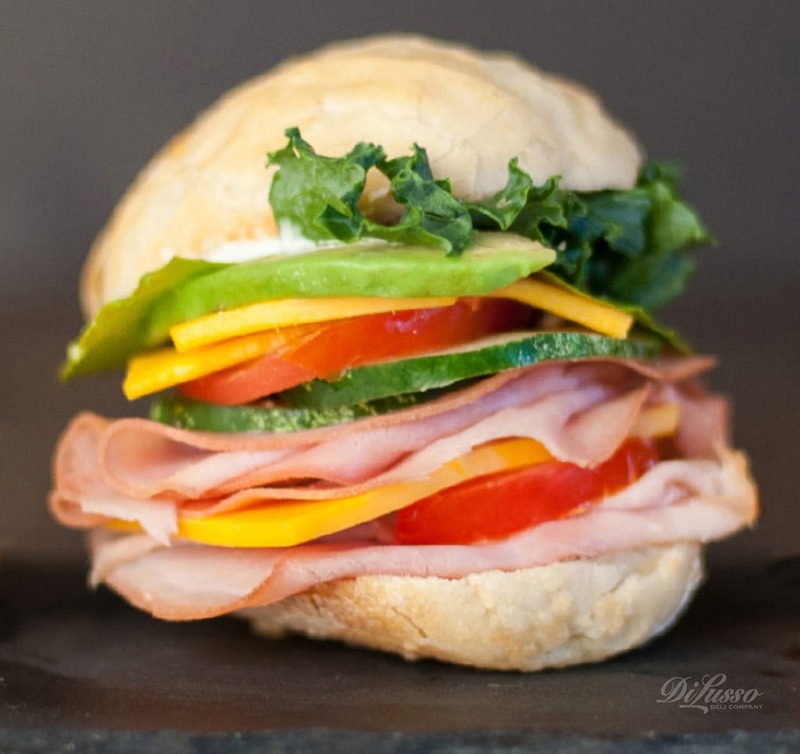 Our mini sliders on biscuits are real winners, made with DI LUSSO® Smoked Turkey, DI LUSSO® Cheddar, avocado, tomato, cucumber slices, lettuce and mayo between two biscuit halves. Or put out some mini pretzel rolls (because what’s a baseball game without pretzels?) 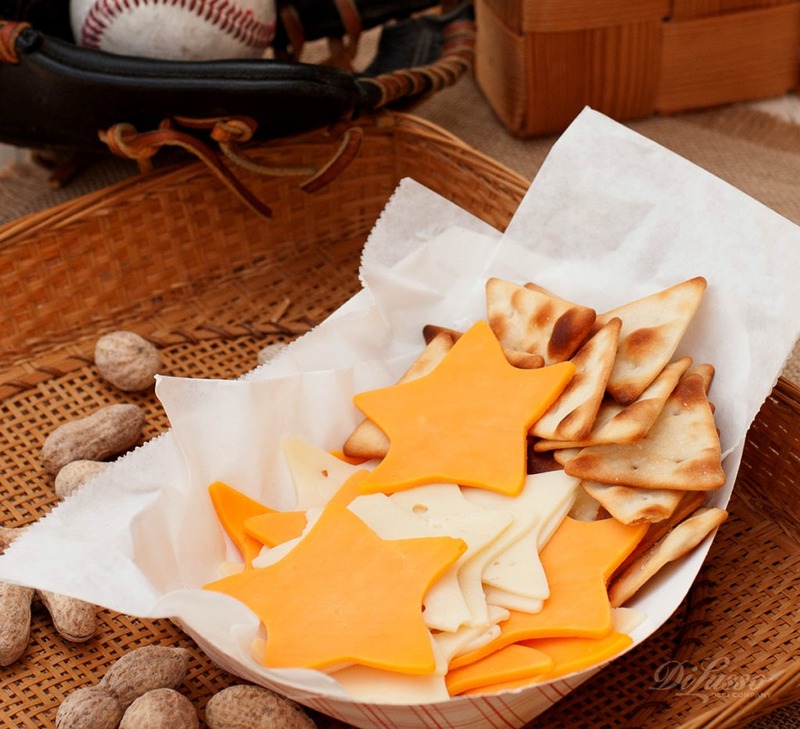 and an assortment of DI LUSSO™ meats, cheeses and condiments for guests to make their own sandwiches between innings. And as a step up from your typical stadium nachos—but in somewhat the same vein—everyone will love Chicken and Habenero Jack Quesadillas. We wish you a winning season! And heeeeeere’s the pitch….